What Do You Do To Prepare Your Car For Winter? It seems like Summer never really started for 2017, we have had some brief spells of warmth between Winter and Autumn and soon enough it will be Winter again. The clocks have gone back and us most motorists find ourselves in the unfavourable position of covering most of our miles in the darkness. Through Autumn and Winter, as leaves fall and the roads get gritted, your paint job is at it’s most vulnerable. Some preventative maintenance is a good idea this time of year, a fresh coat of wax will help seal up the paintwork and give yourself the best chance of retaining that mirror finish until next year. Have you got a little ‘chip’ in your windscreen that you’ve come to terms with? You might want to get that sorted as soon as you can. The reason being, when it gets cold and your windscreen freezes over, the process of defrosting will expand the glass which can cause the crack to spread. Get it sorted while it’s still a small issue! Most insurers have windscreen cover included on their standard policies, so you might be able to get it sorted free of charge. 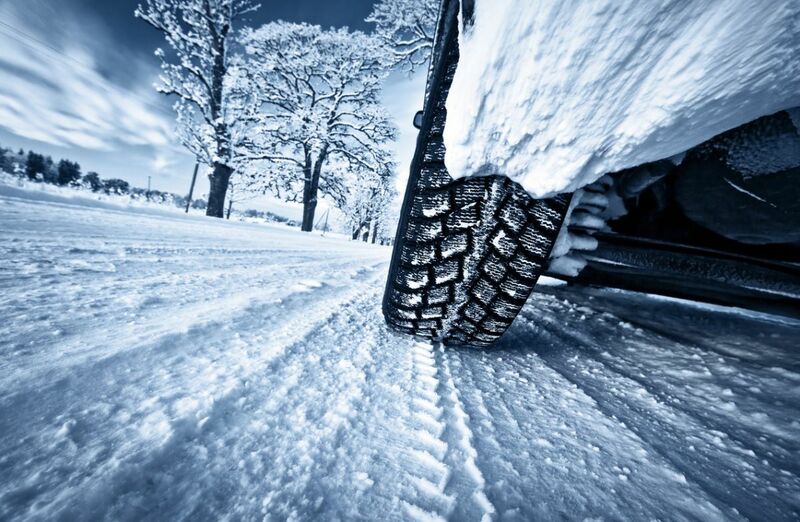 Alright, it can be a bit expensive, particularly if your area rarely gets much snow, but if you live in the hills where snow is as good as guaranteed each year then winter tyres are a worthwhile investment. If your budget isn’t going to stretch as far as a new set of tyres, then at least make sure your current all-weather tyres are properly inflated and have a legal amount of tread depth. You’re going to have to get under your bonnet but keep the spanners in the garage. With dirt and grit on the road, you’ll want to make sure you’ve plenty of washer fluid, so that’s a priority. Then you’ve got engine coolant, this needs to be up to the level as your engine will be working hard to get up to temperature and keep the cabin warm. Thirdly, check the dipstick. Oil will lose its viscosity in the colder temperatures and the last thing you want is a low amount of oil being circulated and remaining thick in your motor - that’s a recipe for disaster. Your car’s battery will need to be doing its job properly if you’re planning on driving over the colder months. A cold engine will need a powerful battery to get the starter motor ticking over, and car batteries are less efficient at low temperatures. You’ll need a multimeter to check your car battery voltage properly, every good garage will have one handy. Here’s a trick you might not have thought of, but it’s only really necessary for people living in the coldest regions of the country, stick some vaseline along the rubber door and window seals. The petroleum jelly will not freeze in the cold because, well, it’s already frozen. This technique will prevent doors from freezing shut and windows freezing in place.